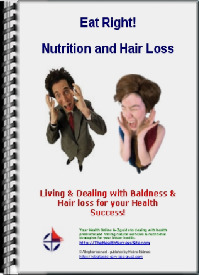 Hair loss is a devastating condition which plagues males and females of all ages and all walks of life. The medical term is alopecia, and it is not entirely definitive what the cause of this is but we can be certain that there are various factors involved in its development. These factors include genetics, psychosocial factors and possible medical complications. While this difficulty is distressing, there is reason for hope. In recent years several treatments and medications have become available in order to stop, reduce or reverse the signs of hair loss or hair thinning. Some of these treatments are more dangerous than others, but all have shown scientific evidence to be effective among many patients. When consulting a physician regarding presenting or potential hair loss, the initial treatment option is medication. It should be noted that if the hair loss is caused by an underlying disease, it is imperative the disease be treated first. This is necessary as treatment of the primary disease may result in regrowth of hair without need for a focused medication. If the hair loss is not due to any external difficulties or disorders, there are several different options which one may consider. The two most popular choices which a doctor may prescribe include Minoxidil and Finasteride. Minoxidil is also known as Rogaine, and Finasteride is also known as Propecia. Both of these pharmaceuticals can be purchased over-the-counter. Unlike Finasteride which comes in a tablet form, Minoxidil presents as a liquid or foam. In order to rejuvenate the scalp and stimulate hair regrowth, this substance must be rubbed into the affected area twice daily. 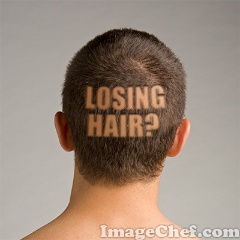 Results have shown that some individuals will experience regrowth in approximately 12 weeks. Those who have experienced hair thinning may see a reduction in hair loss. It has also been seen among some patients that both regrowth and loss reduction has occurred. However, there are side-effects which may be experienced. These can include irritation of the scalp and unwanted facial hair growth. As is aforementioned, Finasteride is presented in a tablet form and is used to treat male-pattern baldness primarily. Research has shown that males who ingest this medication daily will experience a reduction in hair loss and some regrowth. However, as with Minoxidil, there are some side-effects with the most common being scalp irritation. Rarer side-effects include decreased libido and sexual dysfunction. Both Minoxidil and Finasteride should be avoided by females of childbearing age. If one does not wish to take medication on a long-term basis, there is the option of hair loss surgery. This procedure is often recommended for those experiencing severe hair loss. There are two different options regarding surgical procedures: the scalp reduction procedure or the hair transplant procedure. The most well-known and used is the hair transplant operation. Here the surgeon removes small pieces of skin containing live hairs and implants them onto the affected area. Results have indicated that while several sessions may be required, within 3-5 months one should see considerable hair regrowth. As may be seen, alopecia is a devastating difficulty many individuals have to face. However, there are various treatments available which can assist in reducing the hair loss - it all depends in preference.